Our msnbc.com legal panel predicts Assange will be indicted, but what are the implications for media on the Internet? Explainer: Can U.S. prosecute WikiLeaks? Has Assange violated the Espionage Act? Does it matter that WikiLeaks didn't steal anything? Is he protected by First Amendment? What hurdle does a prosecution face? What is the defense weakness? How should the U.S. change the Espionage Act? Will he be indicted or convicted? If the United States seeks to put on trial WikiLeaks and its founder, Julian Assange, what are the implications for freedom of speech, for protection of government secrets and for news organizations on the Internet? Msnbc.com has convened a panel of legal specialists to explore questions raised by a prosecution. The Justice Department has said it is exploring possible charges against WikiLeaks and Assange in the release of diplomatic messages. Attorney General Eric Holder said charges may be brought under a World War I-era law, the Espionage Act of 1917 (text here), or other laws. • Predict that Assange will be indicted and that the indictment will survive a legal challenge. • Disagree on the question of whether Assange is a journalist. But they agree that even if he is deemed a journalist, that may not save him. • Describe the prosecution's greatest weaknesses, starting with getting Assange onto U.S. soil for a trial. • Discuss what may be an overwhelming handicap for the defense if there is a trial: Assange's personality. His statements that he intends to harm the United States won't help him with the judge. And a jury probably won't like him, the panelists predict. Abbe D. Lowell (full bio), a noted defense lawyer, is a Washington partner in the firm of McDermott Will & Emery. He represented one of the defendants in the case usually cited as the closest modern-day parallel to the WikiLeaks case, in which the government dropped charges against two lobbyists for a pro-Israel lobbying group accused of violating the Espionage Act by trafficking in government secrets. In addition to representing many high-profile defendants, he has served the government as chief minority counsel to the U.S. House during impeachment proceedings against President Bill Clinton and was special counselor to the United Nations in prosecution of human rights violations and war crimes in Rwanda and the former Yugoslavia. Paul Rosenzweig (full bio) served in the Department of Homeland Security under President George W. Bush as deputy assistant secretary for policy and as acting assistant secretary for international affairs. He's now at the Heritage Foundation as a visiting fellow at the Center for Legal and Judicial Studies. He lectures at the George Washington University School of Law and is co-author of the 2005 book "Winning the Long War: Lessons from the Cold War for Defeating Terrorism and Preserving Freedom." Stephen I. Vladeck (full bio) is a professor of law at American University Washington College of Law, where he teaches and writes on federal jurisdiction, constitutional law, national security law and international criminal law. He has been involved in several cases challenging U.S. government surveillance and detention of terrorism suspects and was part of the legal team that challenged the Bush administration's use of military tribunals at Guantanamo Bay, Cuba, in the case Hamdan v. Rumsfeld. Click through the eight questions here, and join the discussion in the comments section below. The release of these diplomatic cables could not be more public, and about half of the 250,000 cables that WikiLeaks gave to newspapers are classified. Is there any doubt that Assange has violated the Espionage Act? Abbe D. Lowell, defense attorney: There can be serious doubt, indeed, “reasonable doubt,” that Mr. Assange has violated the act. First, there has never been a prosecution under the act for a First Amendment-protected media outlet or reporter. The AIPAC case was the closest in that it charged lobbyists. [Lowell defended one of the lobbyists; the government dropped the charges.] It is not clear that a court would rule that the act can apply constitutionally in this context. If a charge survived such a challenge, courts have then stated the government has a much higher burden of proof if First Amendment activity is involved — that burden requires the government prove beyond a reasonable doubt that Mr. Assange did the acts involved, did them with an intent to injure the U.S., and did them in bad faith. These are high bars in criminal cases. So while it is not hard for a prosecutor to charge a case, obtaining a conviction is not assured. Stephen I. Vladeck, law professor, American University: There’s little doubt that Assange knowingly redistributed classified information. The doubt, such as it is, is whether the Espionage Act requires more. The act, for example, prohibits the willful communication, delivery, or transmission to “any person not entitled to receive it” of “any document, writing, code book, signal book, sketch, photograph, photographic negative, blueprint, plan, map, model, instrument, appliance, or note relating to the national defense, or information relating to the national defense which information the possessor has reason to believe could be used to the injury of the United States or to the advantage of any foreign nation.” With regard to this last clause — that is, the disclosure of “information relating to the national defense” — courts have ruled that the defendant must have acted in “bad faith.” But what does that mean, here? The single biggest problem with the Espionage Act is that its limits have never truly been tested, and so it is exceedingly difficult to say with any certainty what it does and doesn’t proscribe. Paul Rosenzweig, Heritage Foundation, former Homeland Security official: His actions seem to pretty readily fall within the strict terms of the act, but then so do those of The New York Times and dozens of other outlets. The more interesting question is whether a violation of the act can be proven, given how the act has been interpreted. As recent failed efforts to prosecute two alleged recipients of classified material about Israel show, those prosecutions are fraught with challenges that make it hard to prove a violation beyond a reasonable doubt. Most notably, the courts have said that the act requires proof of some form of “specific intent” or “bad faith” for a conviction. I think Assange’s assertion of a “good government/transparency” motive are patently self-serving flummery, but a jury might buy it. I have no doubt that a colorable [seemingly valid] case can be made against Assange — but conviction is much less certain. Does it matter that WikiLeaks is the recipient and distributor of stolen material, not the one who stole it? Stephen I. Vladeck, law professor, American University: It may matter quite a bit, both politically and for First Amendment reasons that I’ll get to in a second. But for starters, it’s quite clear that the Espionage Act applies on its face regardless of whether the individual who is distributing classified information is the initial thief or an intermediary. Indeed, the plain text of the statute would suggest that even the 100th person to redistribute the same classified document might still be liable, so long as he had the requisite mens rea [criminal intent]. For better or worse, classified information doesn’t become unclassified simply because it has been wrongly disclosed to the public. That being said, in the 93-year history of the Espionage Act, the U.S. government has brought exactly one prosecution under the statute of anyone other than the initial thief/spy/leaker, and that case — concerning two American Israel Public Affairs Committee lobbyists accused of transmitting classified information to Israel — collapsed in 2009. The elephant in the room here (as it was in the AIPAC case) is the First Amendment. Where information has already been leaked, there are many who believe that the First Amendment protects the right of Americans — journalists, in particular — to view and redistribute that information. Abbe D. Lowell, defense attorney: As a technical and legal matter, each successive unauthorized disclosure of national defense (classified) information can be the basis of an Espionage Act prosecution, and so it would not prevent a charge against Mr. Assange. But, his being a media recipient and distributor could matter in whether the Justice Department wants to bring such a theory that would be a precedent against all other media. However, the government does not have to charge this conduct under the Espionage Act. The Attorney General has stated they are looking at other laws. Among these could be conspiracy, based on Mr. Assange being in an unlawful agreement with the person who actually stole the material, or the charge of theft of government property, which could apply to the person who stole the material and the person who “retains” it. Paul Rosenzweig, Heritage Foundation, former Homeland Security official: Absolutely. We’ve successfully prosecuted many who have released classified material illegally — that’s how most spies are charged. But because of First Amendment concerns, the U.S. has a very great hesitancy in punishing those who are the recipients of classified information and then republish it or transmit it onward. The Israeli case I mentioned above is the only such prosecution that I know of, and the government lost the case. It may be that Assange can’t formally claim First Amendment protection — but it is certain that First Amendment principles and our history of protecting public discourse will cause the government to hesitate before prosecuting. Is Assange a journalist? Is WikiLeaks a news organization? If so, how does that affect a case? How is Assange any different from the newspapers that have republished the cables? Paul Rosenzweig, Heritage Foundation, former Homeland Security official: I agree with Floyd Abrams (of Pentagon Papers fame). Like him, my opinion is that Assange is not a journalist and WikiLeaks is not a news organization. News organizations pride themselves on adding value to news — they analyze and provide context. WikiLeaks does none of that. It’s more like a telephone directory — just a compiler of information, not a discriminating purveyor — and it demeans real news organizations to make the comparison. Of course, Assange is sure to contest that conclusion if he is ever brought to trial, and the boundaries of the definition of a “news organization” in a complex Internet/blogging world have yet to be well drawn, so it is possible that a court will rule otherwise. But if I were a betting man I’d bet against this aspect of Assange’s defense. Abbe D. Lowell, defense attorney: The issue of whether WikiLeaks is a media organization and whether Mr. Assange is a First Amendment-protected journalist are key questions when dealing with the Espionage Act, because journalists and the media get the most protection at the intersection of the First Amendment to the criminal law and because the government has the highest burden of proof in this context. The WikiLeaks events tee up the question of defining “media” in the new, Internet era like no previous case. The government will argue that providing a website for the dissemination of raw classified data is “not reporting” and has no editorial or traditional media activity. However, the First Amendment is very broad and very strong, and WikiLeaks has the better of the argument that gathering information (even raw information) and reporting it (disclosing it) is the classic definition of protected freedom of the press activity. Stephen I. Vladeck, law professor, American University: Legally, at least, I don’t think it matters whether or not Assange is a journalist or WikiLeaks is a news organization. And I think this point goes a long way to explaining why this case is potentially so momentous. Although the U.S. government has never prosecuted a reporter or a newspaper for publishing classified information, the text of the Espionage Act would seem to permit such a prosecution, and several of the Supreme Court justices who decided the Pentagon Papers case in 1971 specifically suggested that The Times and The Washington Post could be prosecuted after the fact for publishing the Pentagon Papers, even while ruling that they couldn’t be enjoined from publication. So the real question is whether any prosecution of Assange would set a dangerous precedent for potential future prosecutions of the press, or whether the government would rely upon a novel theory that draws a clearer distinction between what Assange did here and what any number of newspapers have done both recently and in the past. As a non-citizen acting outside the United States, is Assange entitled to First Amendment protections at all? Should the First Amendment ever protect the public dissemination of classified material? Abbe D. Lowell, defense attorney: Like so many other aspects of this case, whether and to what extent the First Amendment applies to a non-citizen who might be accused of making a disclosure (in other words a form of speech) abroad (and not in the U.S.) is not entirely clear. However, if the U.S. is able to get jurisdiction over Mr. Assange by claiming his actions occurred in the U.S., then he should be able to assert that the same activity enjoys the benefit of the First Amendment, because free speech and free press protections apply to people in the country, not just citizens. The First Amendment does not have a broad carve-out from its free speech and free press protections for classified information or “national defense information” (the proper phrase under the Espionage Act). It would be inconsistent with the whole idea of such freedoms for there to be wholesale exceptions in the First Amendment for such categories. Instead, the First Amendment will compel a court to determine other aspects of any disclosure — the intent behind the release, the purpose of the disclosure and whether the disclosure was in “bad faith.” Those are where the First Amendment will or will not protect the conduct alleged here. Stephen I. Vladeck, law professor, American University: These are two very different questions. To the first, if it came to that point, Assange would be in the United States, sitting in a U.S. courtroom. Although the case law is decidedly unclear as to which rights non-citizens outside the United States are entitled to invoke, in that situation, I think Assange would have a very strong case that the First Amendment should apply. But I doubt it will come to that. Because it is not even clear whether the Espionage Act applies to conduct that takes place overseas, I suspect that any Espionage Act prosecution would include an argument that some of the underlying acts took place within the territorial United States, even if it was simply the storage of some of these cables on servers physically located within the country. On that theory, if the crime happened “here,” I think it would be even clearer that Assange would be entitled to whatever protections the First Amendment would have to offer. Paul Rosenzweig, Heritage Foundation, former Homeland Security official: In general, no. Constitutional protections are only rarely extended to non-citizens and even more rarely applied outside of the United States, except in the context of when the U.S. government is an actor. Here it is certain that Assange will seek such protection, but doubtful whether he will get it. It also may be irrelevant — the courts have resisted a formal distinction between the press and other publishers, so the First Amendment argument may be less than it seems. As for the question of whether the First Amendment protects disclosure of classified information: Of course it does. It has for more than 200 years in one way or another. We still haven’t worked out exactly the right balance, but that is to be expected. Sometimes the disclosure will serve a positive purpose (think Pentagon Papers); other times it won’t (think Phillip Agee’s disclosure of the names of some of our covert CIA station chiefs), but that’s the price we pay for a robust democratic process and governmental transparency. What is the greatest hurdle facing a prosecution? How might that be overcome? Stephen I. Vladeck, law professor, American University: To my mind, the greatest hurdle is the weight of history. As I noted above, a prosecution of Assange for violating the Espionage Act would be unprecedented. So many key questions about the scope of the Espionage Act and the government’s burden of proof remain unanswered, that it would be impossible for even the most talented prosecutors to fully anticipate the legal issues that might arise. And although the novelty of legal issues isn’t an argument against bringing a case, it will make things that much harder for any prosecution, the strategy of which may depend upon the answers to these as-yet-unanswered questions. Abbe D. Lowell, defense attorney: The greatest hurdle to a prosecution will be a court deciding that the Espionage Act cannot be constitutionally applied to a First Amendment-protected journalist or media outlet and that WikiLeaks and Assange get that protection. A second great hurdle will be the higher burden of proof (intent to injure the U.S. and bad faith) if the case gets past a motion to dismiss. There will be the additional obstacles of extradition of Mr. Assange to the U.S. (it is not automatic) and also whether other laws (like the theft of government property) can apply to someone who received the information. The government can overcome these hurdles by distinguishing WikiLeaks from mainstream media, by using Mr. Assange’s various press statements to show he did indeed have an intent to harm the U.S., and by using statutes other than the Espionage Act to charge him. Paul Rosenzweig, Heritage Foundation, former Homeland Security official: It seems highly unlikely that Assange will ever face trial in this country, because no country where he is located is likely to extradite him to America. Extradition for “political offenses” is rare, and Sweden has a long history of granting political asylum/refusing political extradition. Only extreme diplomatic pressure (of a form I cannot readily imagine being actually applied) would be likely to compel the Swedes to yield him up for trial. The British might be more willing to extradite him, and our extradition treaty with them might cover these offenses. One would hope that the administration does not delay its extradition request until after Assange moves to a less-favorable jurisdiction. In truth, I see this as a very high hurdle and have trouble envisioning how it would be overcome. What is the greatest weakness of a defense? How might that be overcome? Paul Rosenzweig, Heritage Foundation, former Homeland Security official: From a thematic point of view Assange seems like he would be a pretty unappealing defendant. In his public appearances he comes across as self-righteous and arrogant. There is more than a little hint of anti-Americanism in his rhetoric. And his “supporters” today in the hacktivist anarchic community are adopting a scorched earth strategy that will rub off on Assange, to his detriment. If he ever comes to trial, the jury will not like him. The obvious way to overcome it is to make him act more likeably — I wonder if that would be possible. Abbe D. Lowell, defense attorney: The greatest hurdle for the defense will be the facts themselves — that huge data dumps of raw classified material will not be deemed to be covered by the First Amendment. Close behind will be that neither Assange nor the type of large disclosure he did (as well as his public statements) will inspire sympathy from a judge ruling on the case or a trial jury deciding whether they like his conduct or him. He stands a serious risk that a court or jury will want to find ways to convict him. He might overcome these obstacles by having the mainstream media and their legal groups take up his cause that he is protected by the First Amendment, by showing that what he did is not different that what other media have been doing in publishing the same material, and by moderating some of his press comments not to play into the hands of any prosecution. Stephen I. Vladeck, law professor, American University: Some of the biggest issues for the defense may well arise out of statements Assange has already made publicly. If the prosecution boils down to whether Assange acted in bad faith, and whether he reasonably should have known that these disclosures would harm U.S. national security, he may have hurt his own cause by being so publicly forthright throughout this controversy, especially with regard to the effects of future leaks. If Assange’s publicly stated goal is to bring down incumbent administrations, banks, and the like, it may be hard for the defense to portray him as someone who didn’t appreciate the harm that might result from the disclosures. And if that weren’t enough, the U.S. government tried very hard to make sure he was on notice, with letters to Assange from both the State Department’s legal adviser and the Defense Department’s general counsel underlining the point prior to the latest round of disclosures. How should the U.S. deal with future Assanges? What should Congress do in response to this case in writing an Espionage Act of 2011? Abbe D. Lowell, defense attorney: I was able to submit testimony in May 2010 [read the testimony here in a PDF file] on whether and how the Espionage Act should be amended. It is long overdue for changes. No law should be changed to respond to a single person’s action, and a great deal of careful thought and debate would be required before a new law is passed so that true national security is balanced with precious constitutional rights. • Carefully define espionage differently than a separate offense for the improper disclosure of national defense information (NDI) and separately from the improper handing or disclosure of classified information that may or may not be NDI. • Define the criminal intent needed for a conviction of each offense in terms that are clear (i.e., with a specific intent to injure the national defense of the U.S. without regard to whether it helps a foreign country) so people can conform their conduct and judges and juries can apply the law consistently. • Make clear how the law covers tangible (documents or data) as well as non-tangible information (oral conversations) in a manner that protects First Amendment activity and whether and how, in the context of “leak,” it should ever be applied to those who are not government officials, such as the media. Stephen I. Vladeck, law professor, American University: Long before WikiLeaks was on our radar screen, there was already a concerted effort to modernize the Espionage Act, and the WikiLeaks affair should only reinforce calls for reform. • Clarifying the circumstances in which the Espionage Act does apply to third-parties, and not just the original spy/thief/leaker, including whether the same mens rea [criminal intent] applies in those cases. • Including specific exemptions from the Espionage Act for disclosures that are covered by federal whistleblower laws. • Considering the addition of a defense to the Espionage Act for cases in which the relevant material was improperly classified. This is just the tip of the iceberg — the Espionage Act regime as a whole is antiquated, outdated, and could benefit from a complete reworking. But at the very least, these steps might help clarify some of the most difficult legal issues that a prosecution of Assange might raise. 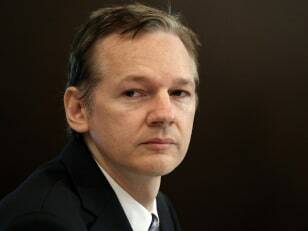 Paul Rosenzweig, Heritage Foundation, former Homeland Security official: It’s tough to draw a statute that is both consistent with our tradition of transparency in government and yet punishes those, like Assange, who seem clearly to have transgressed. That’s why moves for an American equivalent of an Official Secrets Act (from the UK) have been routinely rejected — including a relatively recent effort by Senator [Richard] Shelby [R-Ala.]. • Are Internet releases different from journalism? • Is proof of specific intent to harm a reasonable requirement? • Is stolen information equivalent to stolen property? • How do we protect legitimate press activity or whistleblowers? More broadly, the more profitable effort will be on the defensive side. It seems rather problematic that our classified systems have not been configured to detect and create alerts for prima facie [apparently illegal] policy violations automatically, as for example when files with certain attributes are transmitted outside the host organization or large volumes of material are downloaded. Nor apparently, have our systems been configured to alert on anomalies, such as the accessing of sensitive data inconsistent with normal usage patterns. One way for Congress to deal with future Assanges is for it to make the Executive Branch step up to the plate on information assurance. Prediction time: What is the likelihood of a U.S. indictment of Assange? What is the likelihood of an indictment surviving a motion to dismiss? What is the likelihood of a conviction if a case went to trial? Indictment: 80 percent likely (it’s a political necessity). Surviving a motion to dismiss: 80 percent (if it is a carefully drawn indictment). Assange being extradited to the U.S. for trial: 10-20 percent (precisely because it’s a political necessity in the U.S.!). Assange being convicted if he is tried: 60-70 percent (I don’t think a jury will be very sympathetic). Bonus prediction: Some of Assange’s supporting hacktivists are identified, arrested, extradited, tried and ultimately convicted: 70-80 percent. Abbe D. Lowell, defense attorney: The WikiLeaks disclosures are getting bolder and causing more controversy; the U.S. will find some way to bring charges (under the Espionage Act and/or other laws), because not doing so will be deemed bad legal precedent, bad foreign relations, and bad national politics. A well-crafted, narrow indictment will not be dismissed because a court will probably rule that there is no absolute First Amendment bar to charging an entity like WikiLeaks for the kind of data dump it did and that the legal issues involved in the case (criminal intent, higher protection) require a trial. A conviction will depend entirely on how jury instructions are drafted by a court (how high is the First Amendment bar) and whether a jury decides to follow those instructions (a jury in some area, perhaps Alexandria, Virginia, may decide the case differently than one in D.C.). Stephen I. Vladeck, law professor, American University: Honestly, I have no idea. I suspect that some of what happens here may depend upon what happens in the pending criminal case against him in Sweden. So long as the Swedish criminal process is running its course, we may well hold off on pursuing Assange (even if an indictment has already been obtained). But if, for whatever reason, the case against Assange there doesn’t produce a conviction, I think it is extremely likely that the U.S. government will pursue an indictment (or unseal an indictment it has already obtained) and seek Assange’s extradition. And I suspect that, at that point, the case would be strong enough to survive a motion to dismiss. As for the likelihood of a conviction, that’s ultimately a question for 12 unknown citizens. Vote: If WikiLeaks is a news organization, should its leaders be prosecuted under the Espionage Act? What should we investigate? Do you know of a story that we should pursue at NBC News? We're about investigative reporting on topics that matter: corruption, conflicts of interest, broken systems, abuses by institutions and individuals with power, whether that's government, nonprofits, or the press itself. Submissions are reviewed by NBC News staff, and published or broadcast at their discretion. NBC News may contact me via e-mail or phone if my content is used or with questions about my submission. The Department of Veterans Affairs' promise to end by 2015 its massive, benefits backlog for disabled veterans has "stalled," according to an analysis released Monday by a leading veterans' organization.